1 LB. 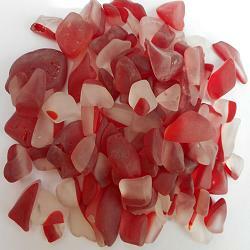 OF MEDIUM SIZE BEACH GLASS IN A CUTE RED AND WHITE PATTERN CALLED PEPPERMINT. PIECES RANGE FROM 1/2" TO 1".